Push | Branding a global pizza concept. Naked Pizza had recently been bought by an investor who wanted to grow the brand globally starting with its roots in the US, but also venturing first into the Middle East and eventually the rest of the world. 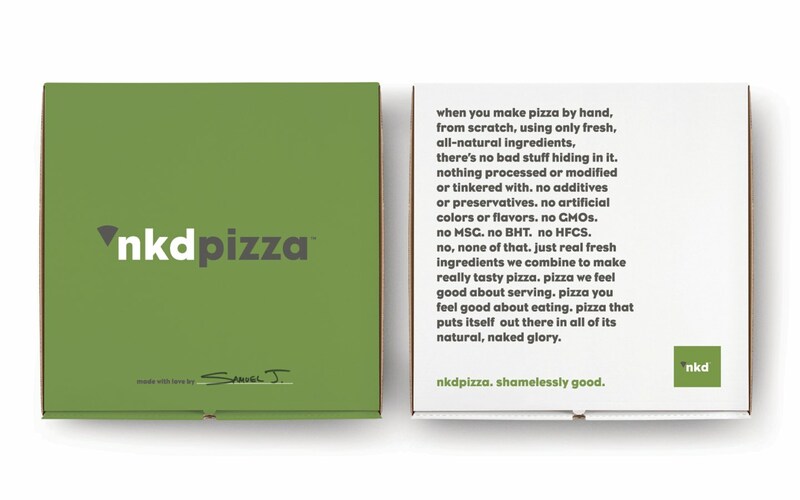 We had to solve for two very disparate, yet diverse, cultures, so we started with a name change to NKD Pizza and used both visual and written languages that, while separated by over 7,000 miles, were connected to a single brand identity and messaging. Since we had already stripped the name to its bare essentials, we felt we could do the same with the rest of the brand. 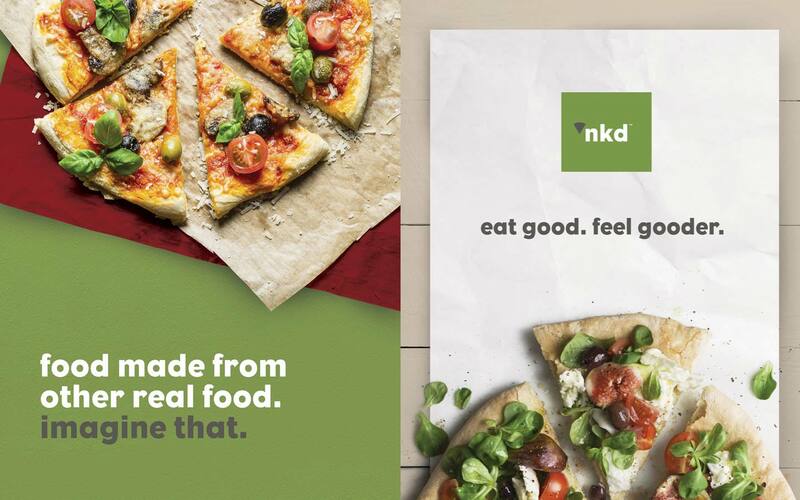 Starting with deconstructing the food photography down to pizza’s basic ingredients, we used messaging to point toward all NKD’s products’ natural goodness, making the brand…Shamelessly Good. Working with the owner’s construction team, we developed complete beta concepts for both existing and new restaurants. In addition to fixtures, flatware and packaging, we also created interior clutter packages, signage, uniforms, menus and consumer touchpoints throughout the restaurant that all pointed back to the concept’s simplicity, authenticity and focus on healthy, natural foods.